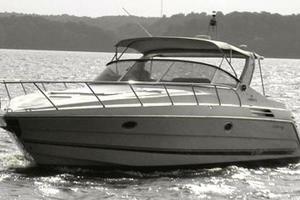 Cranchi Yachts is a five generation Italian Boat Building Company that has been in business since 1870. 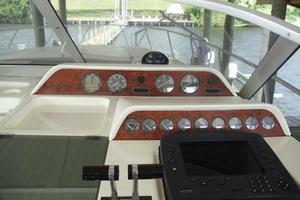 They have produced fiberglass vessels since 1970. 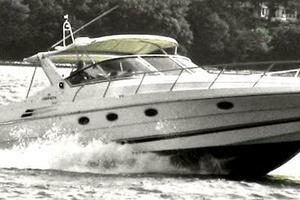 Since the mid 1970’s they produce over 1000 vessels per year. 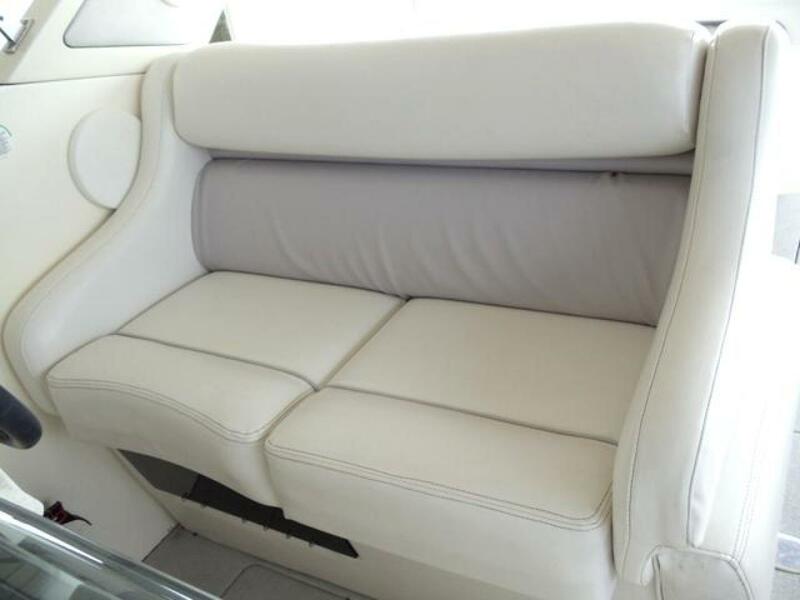 Beginning in the mid 90’s all of their yachts have gone through a state of the art Design Test Center before entering the retail market. 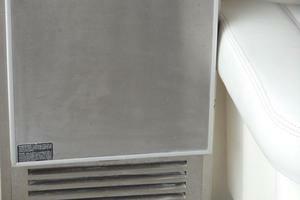 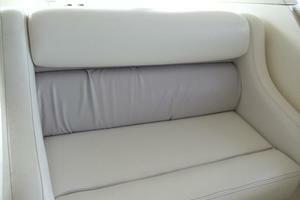 Since 2000 the company has expanded from two to five factories throughout Italy. 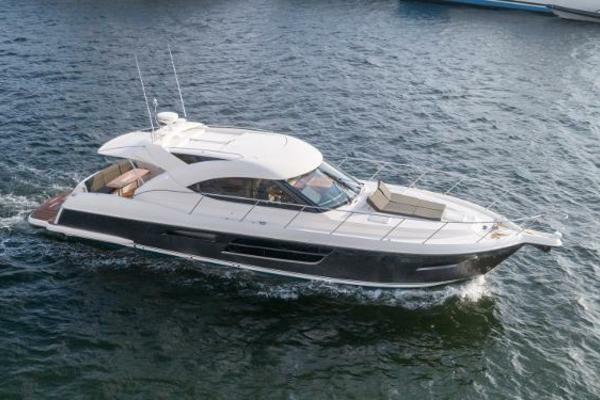 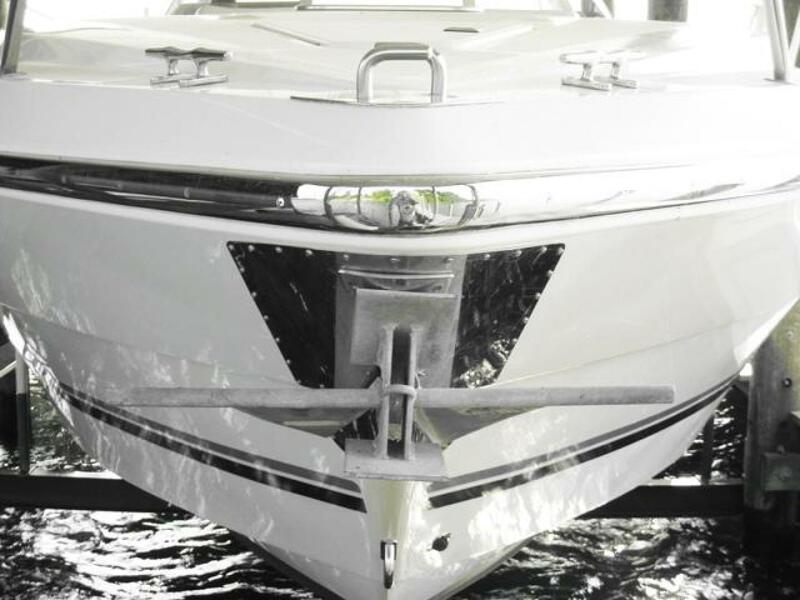 Cranchi Yachts has always been known for maintaining the highest values in Design, Engineering, Reliability and Aesthetics. 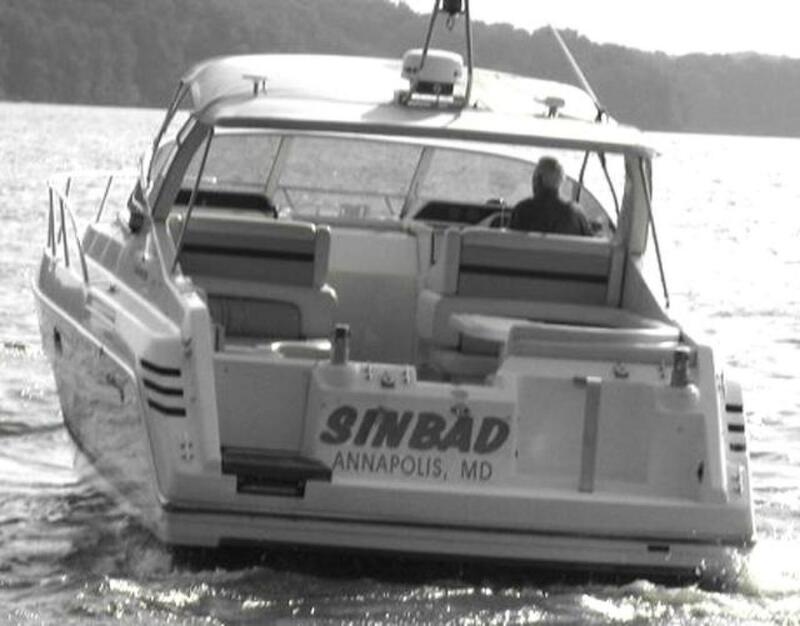 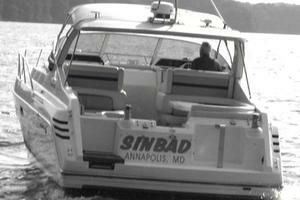 SINBAD, a one owner vessel operated by a knowledgeable yachtsman has had the best of care since purchased new in Florida. 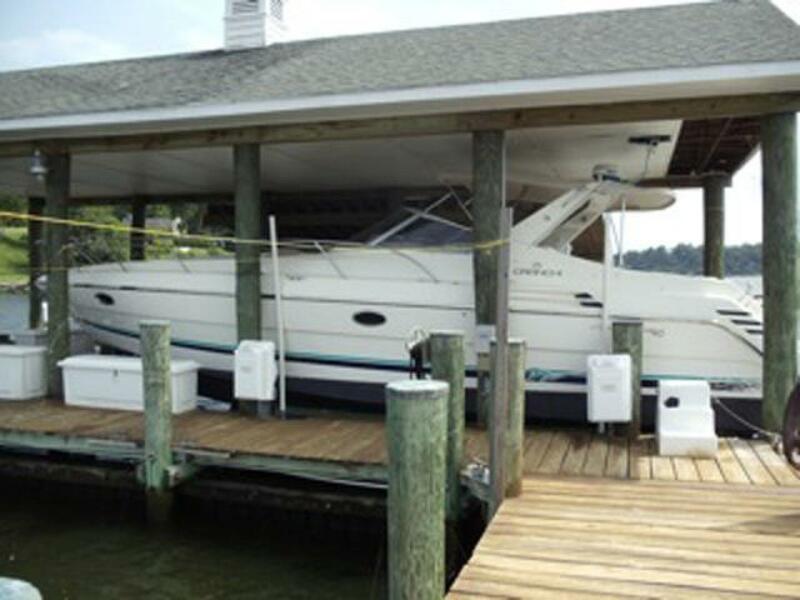 It has been lift kept in a covered boathouse since arriving in Maryland shortly after purchase by the current owner. 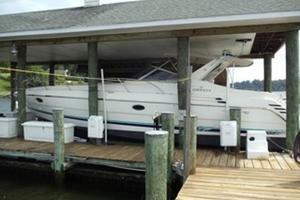 COVERED BOAT HOUSE AND LIFT KEPT SINCE NEW. 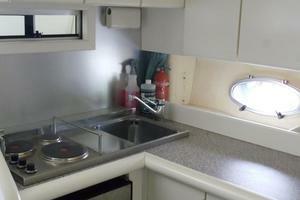 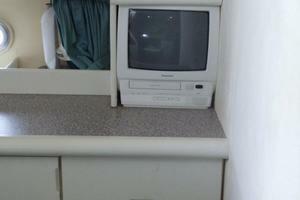 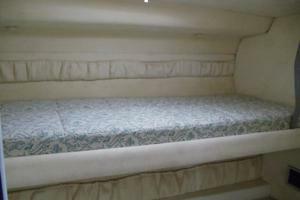 EXCELLENT CONDITION AND EXTREMELY LOW HOURS. 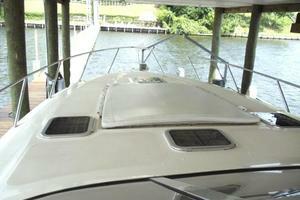 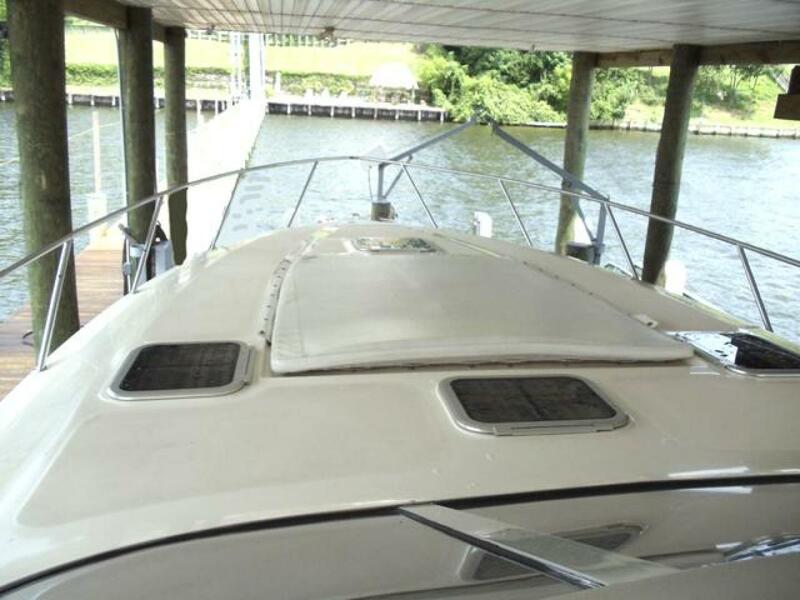 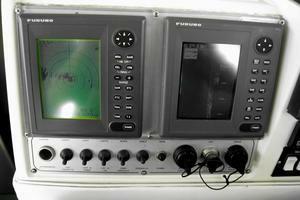 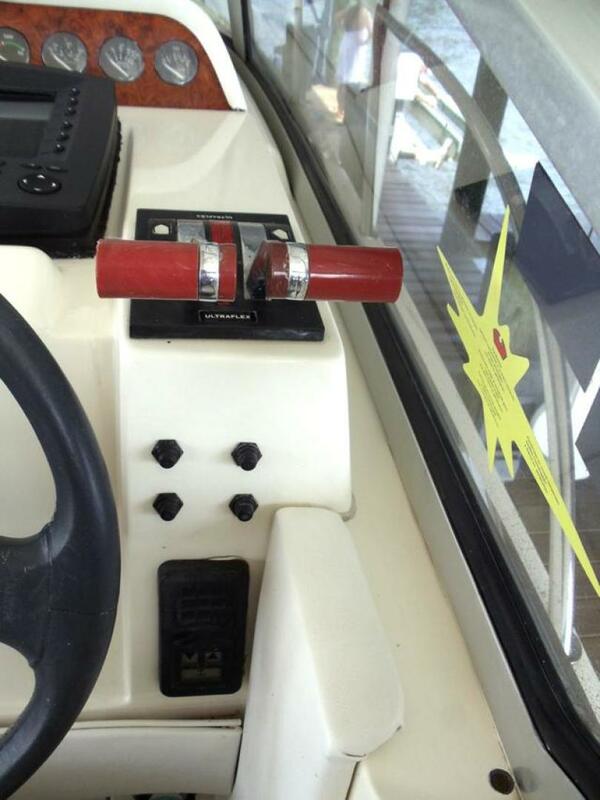 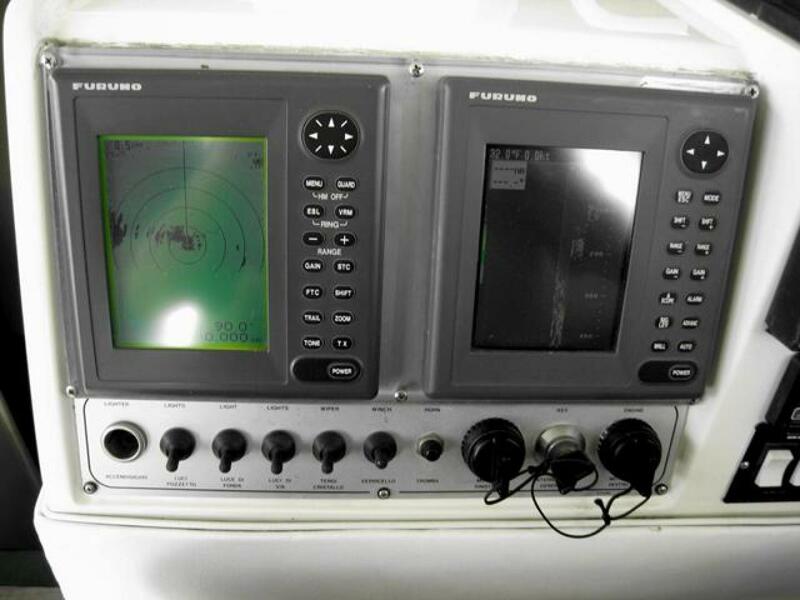 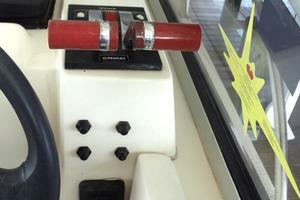 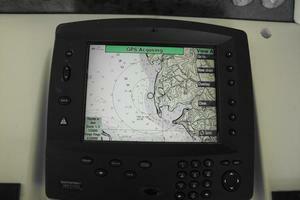 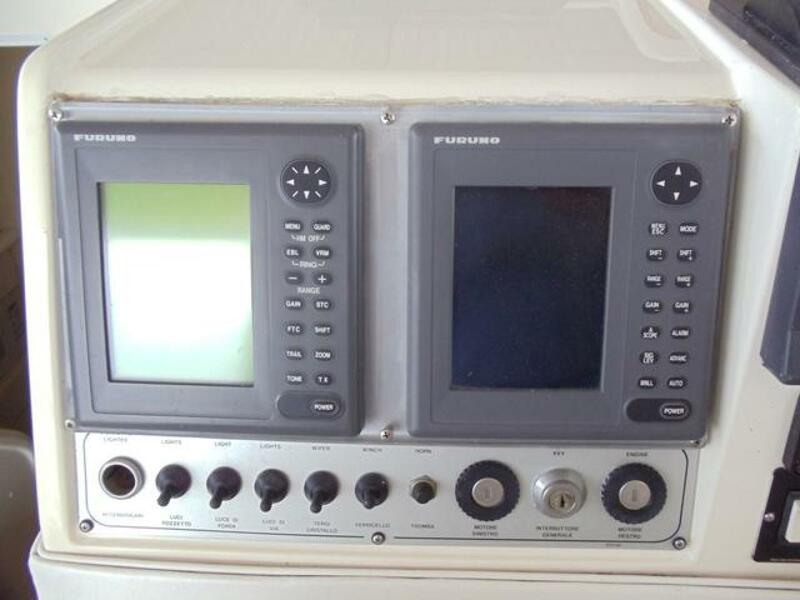 The foredeck has polished hand rails with remote electric windlass fitted below deck. 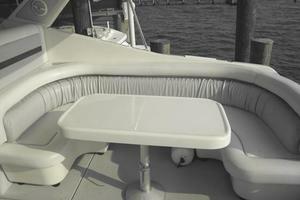 The anchor is secured under deck and the bow is protected by polished stainless steel chafe plates. 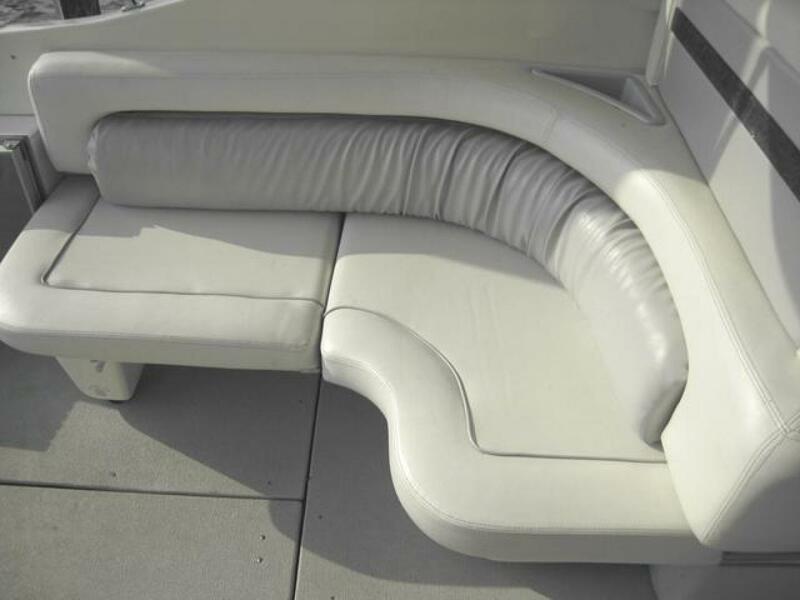 Next aft is a large padded sun area. 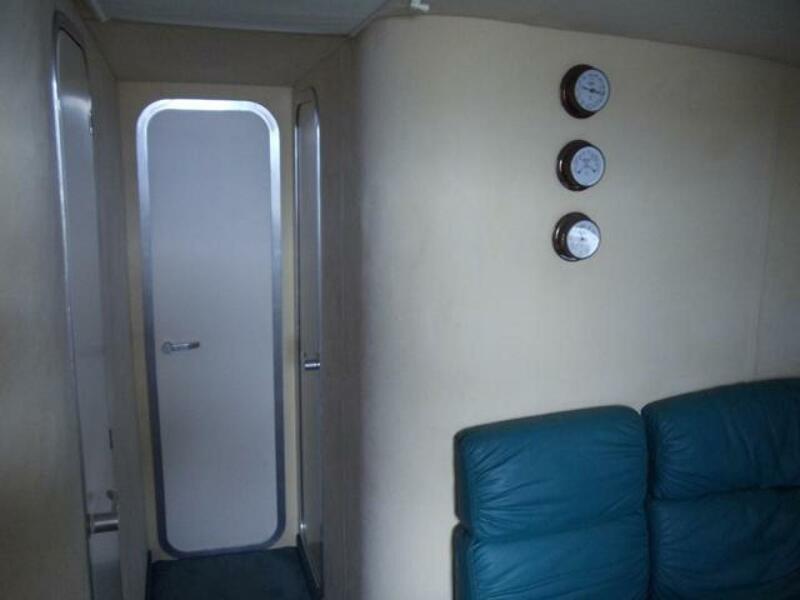 Moving below the master stateroom forward has a queen berth running fore and aft amidships with seating and shelf storage on both sides. 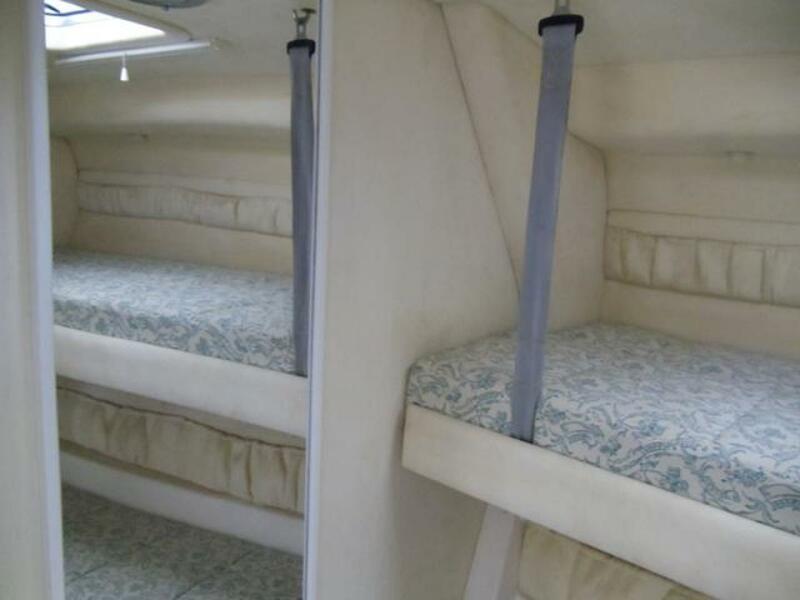 Two full size hanging lockers are port and starboard. 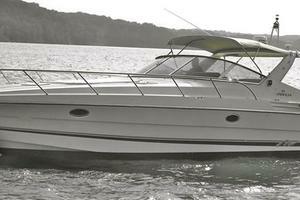 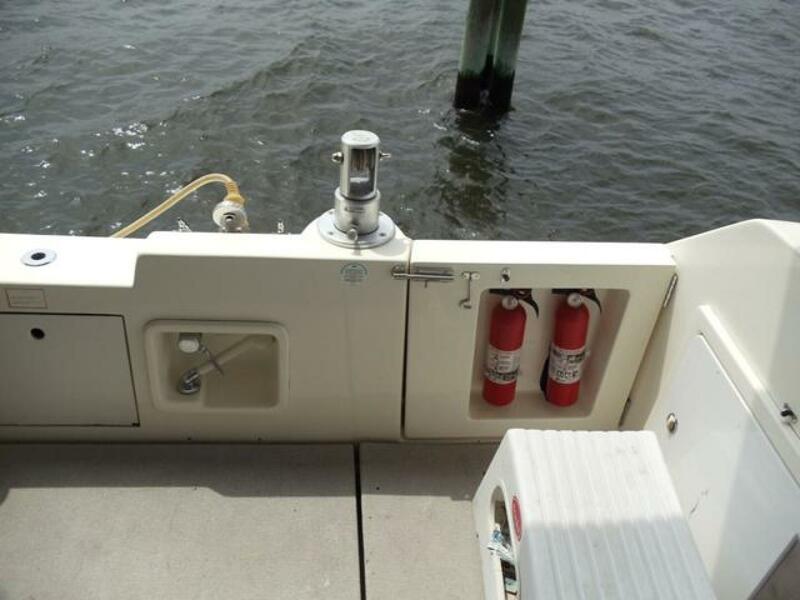 Full bulkhead and direct head access provides complete privacy. 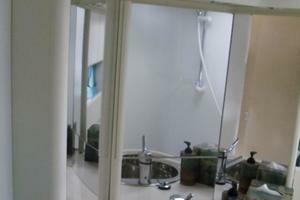 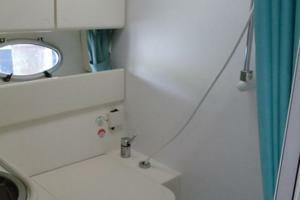 Next to starboard is a head with shower. 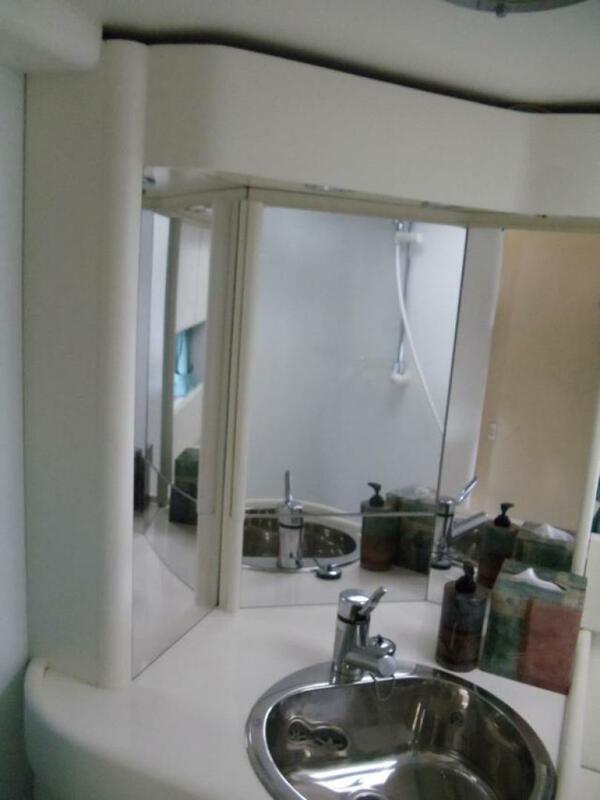 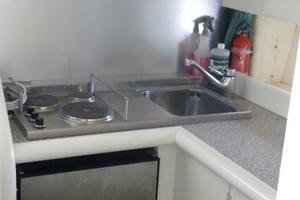 Fresh water head, molded countertops, stainless steel sink and head, built in vanity and molded shower seat make this comfortable to use at dock or underway. 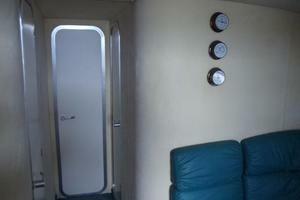 On the portside is an over/under berth stateroom, which converts to a settee. 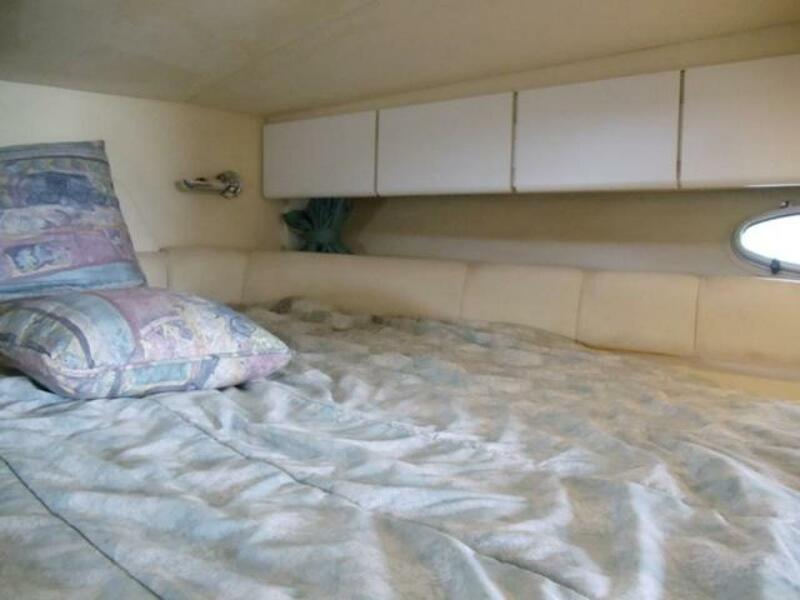 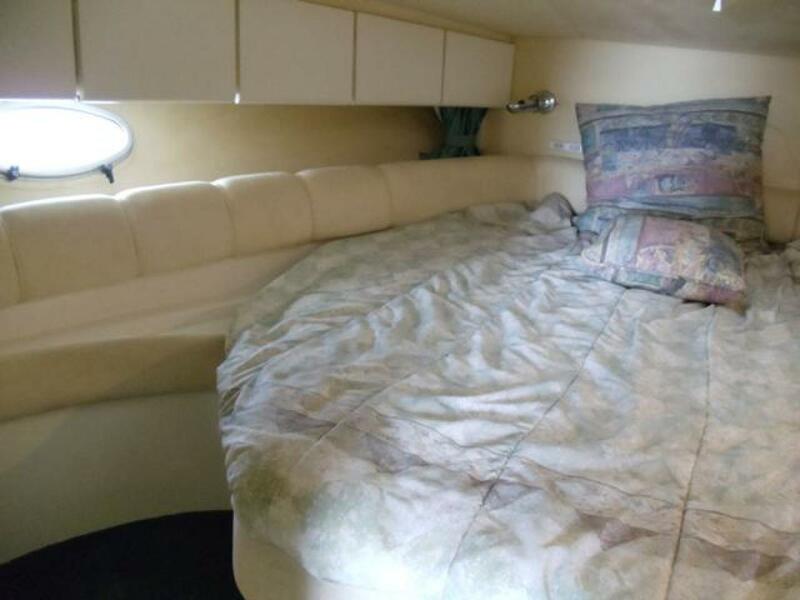 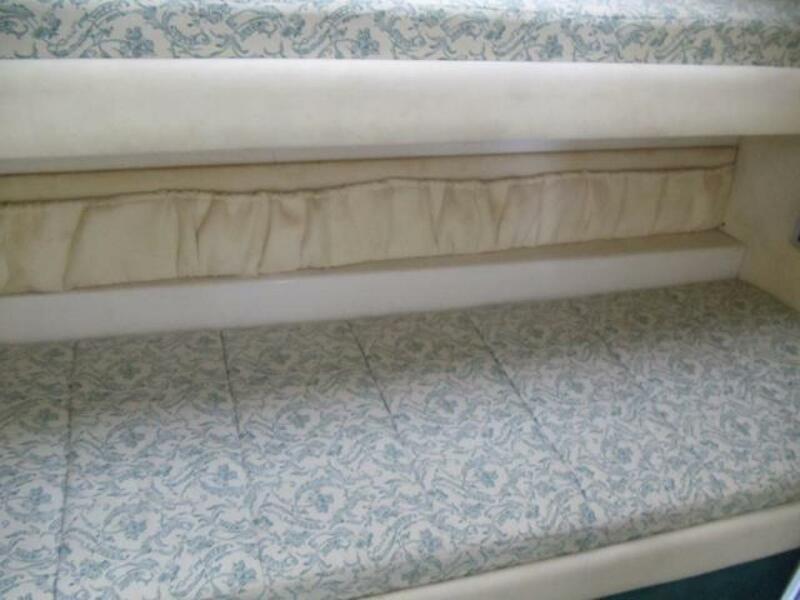 It includes mirrored hanging locker hull side pocket storage with ample storage under the bed. 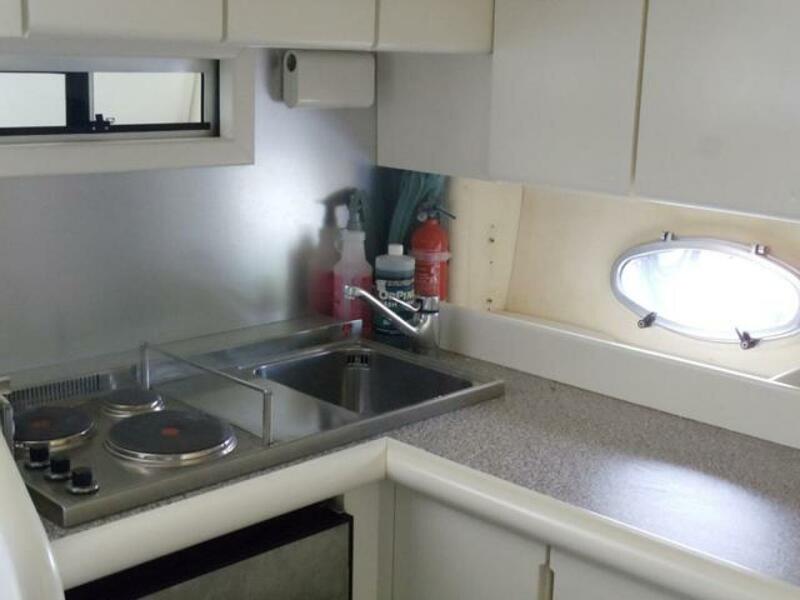 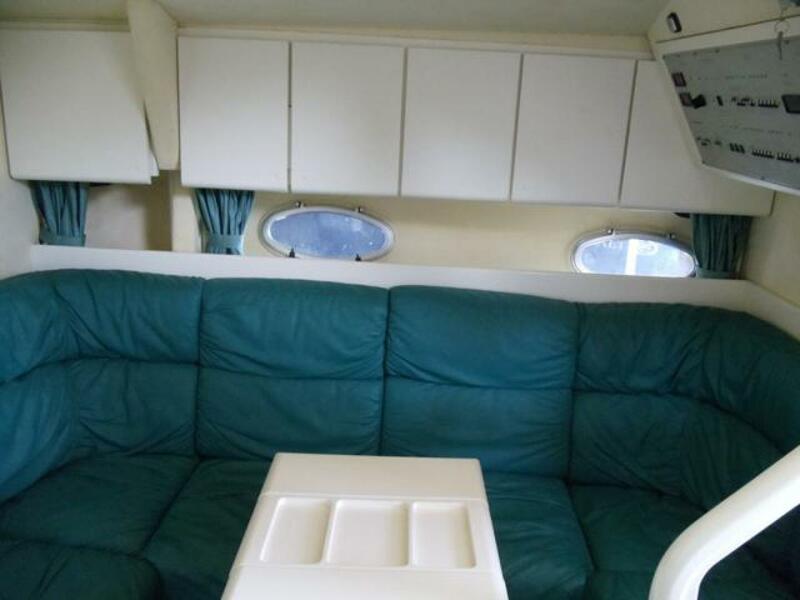 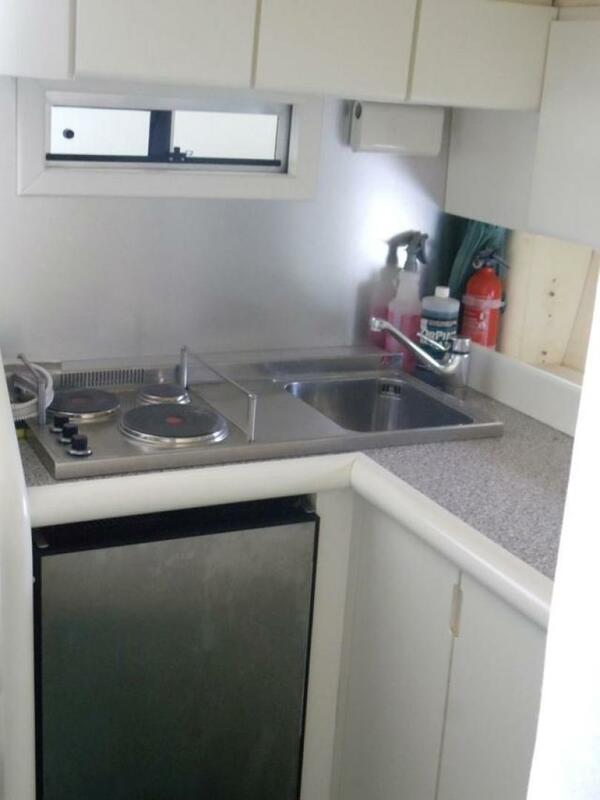 Moving aft mid-ship to port is a complete galley with refrigerator, microwave, 3 burner electric cook top, cabinets, built in TV, stainless steel sink and molded counter. 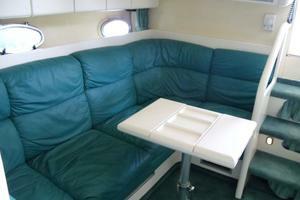 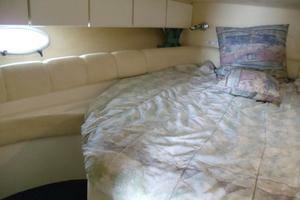 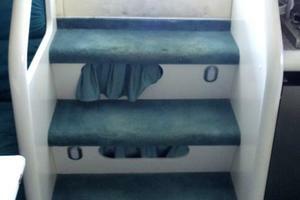 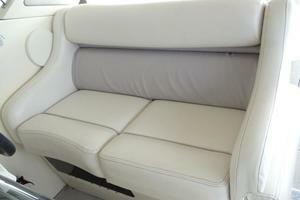 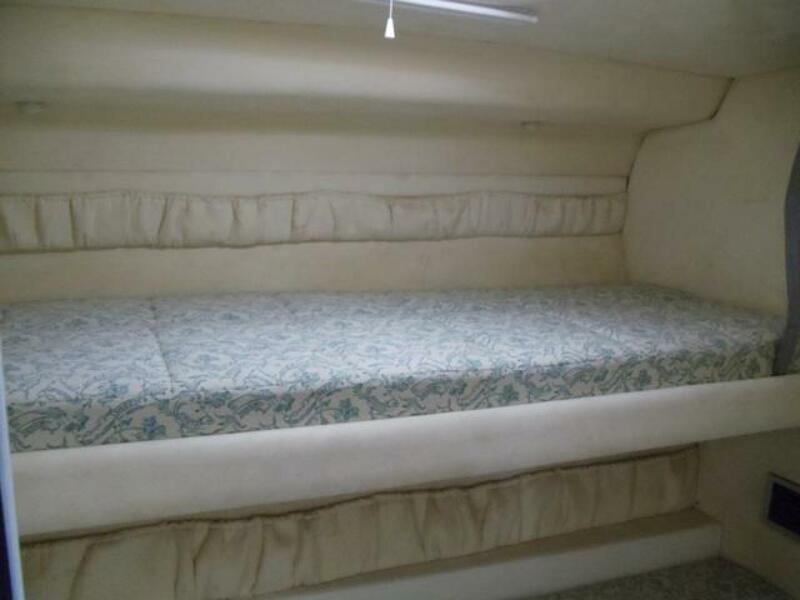 Starboard amidships opposite the galley is a large “U” shaped settee with green Pleather fabric running fore and aft. 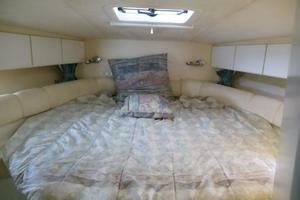 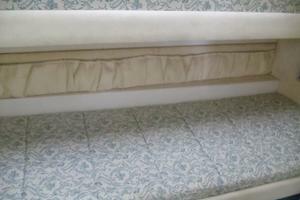 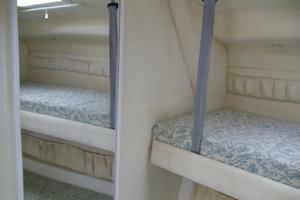 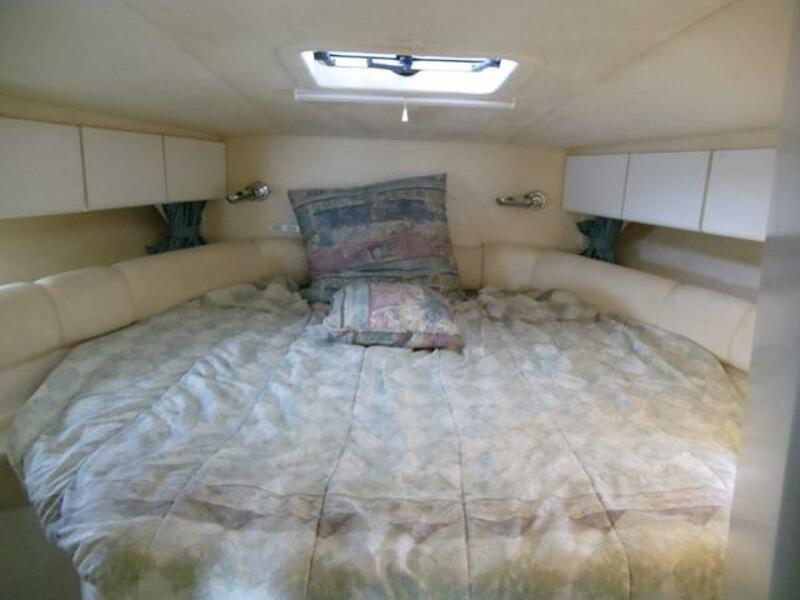 It can convert to a double berth and has storage under. 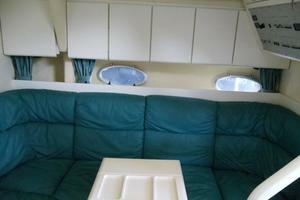 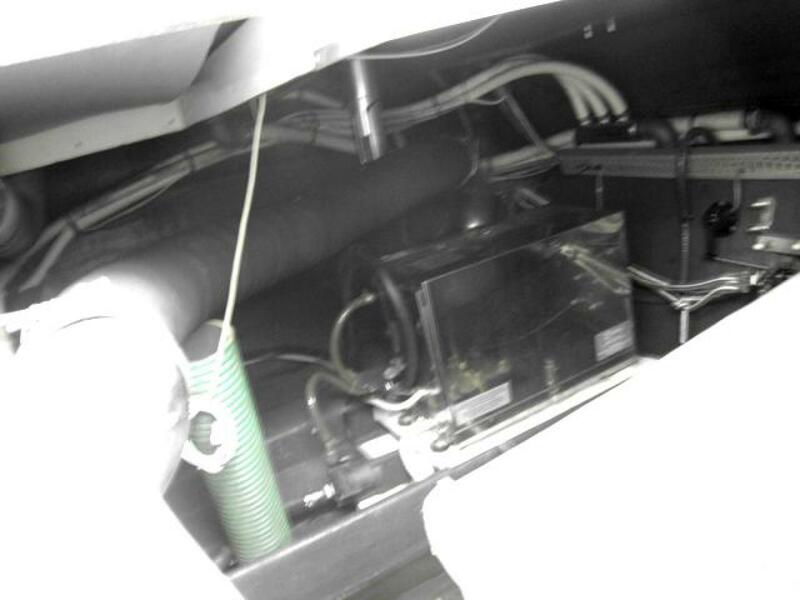 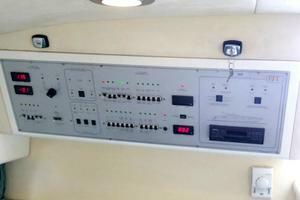 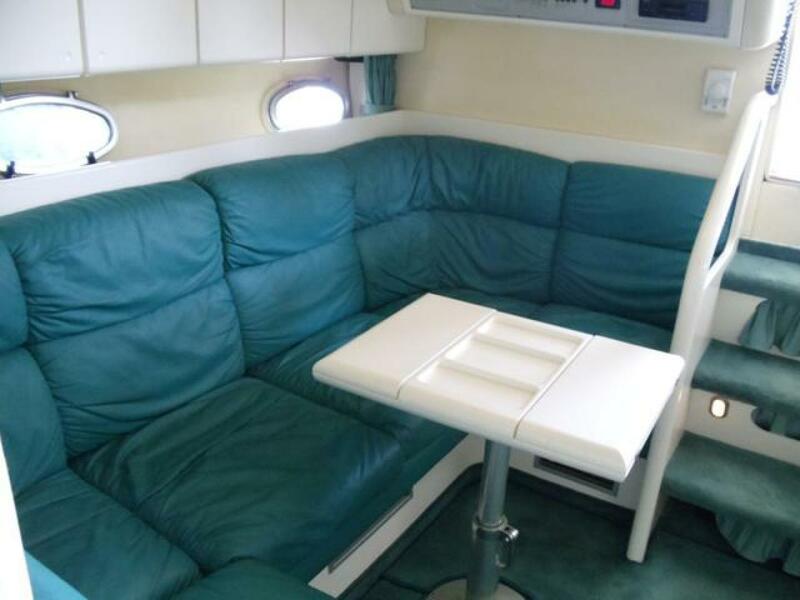 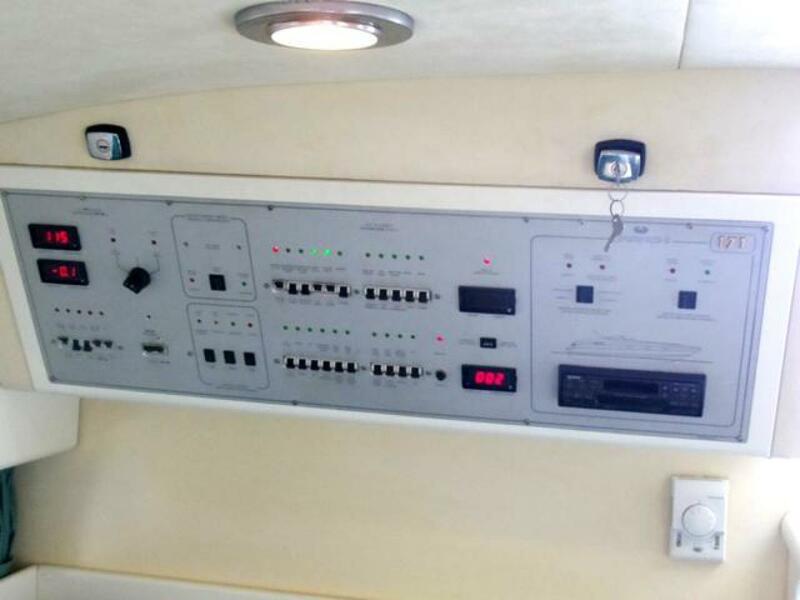 The electrical panel is located on the aft bulkhead over the settee. 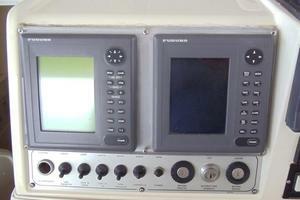 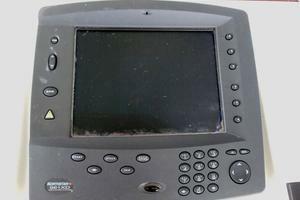 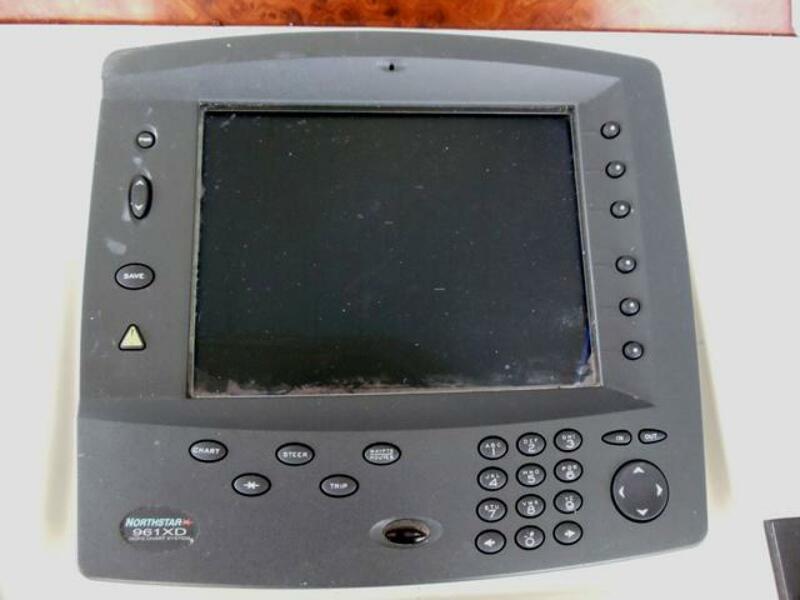 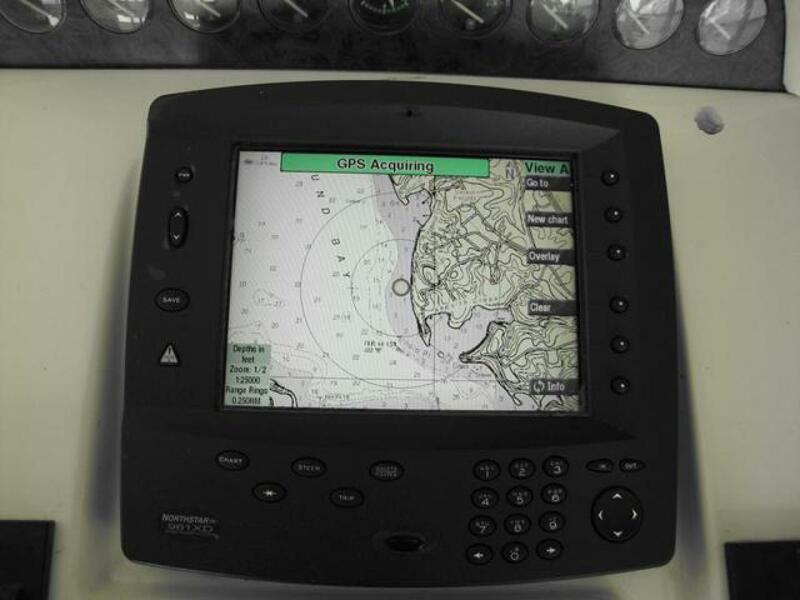 The helm is located to starboard and raised one step from the cockpit. 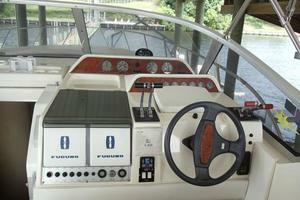 It boasts a two-person helm seat. 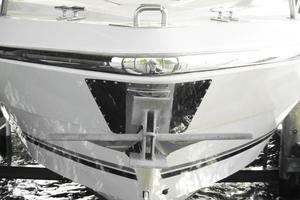 A walk through windshield offers easy access to the bow. 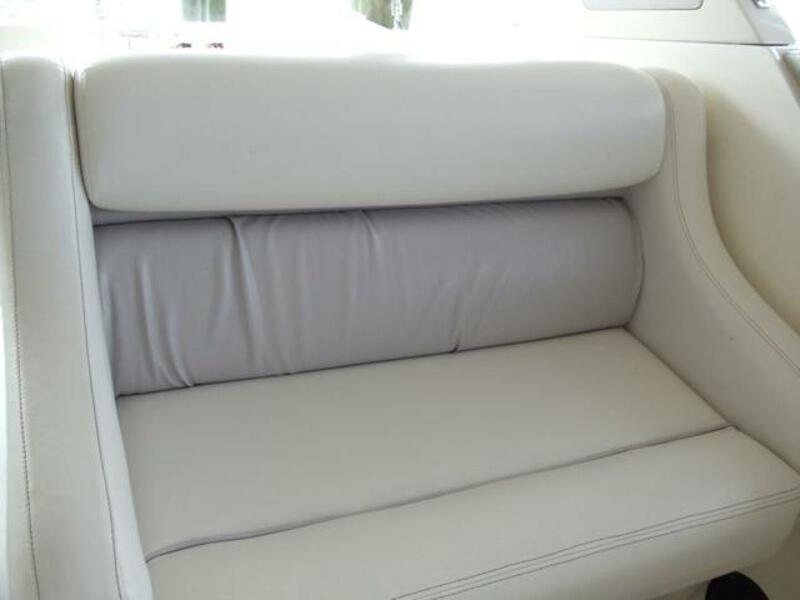 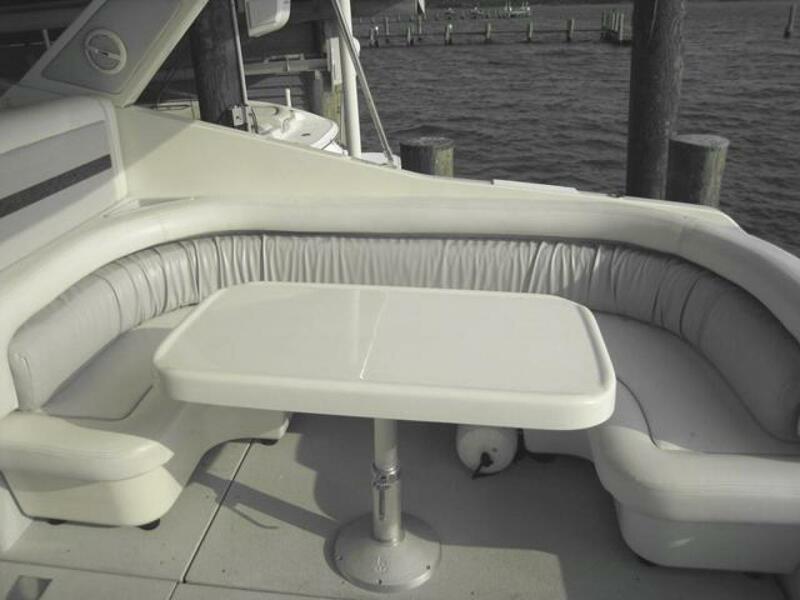 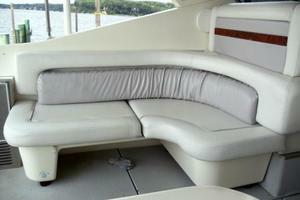 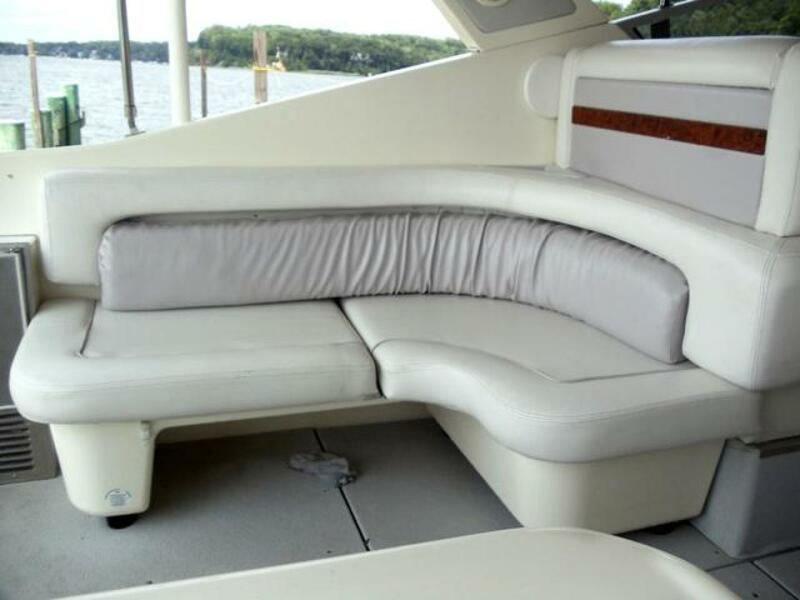 To starboard is a second two-person settee raised one step which offers great visibility when underway. 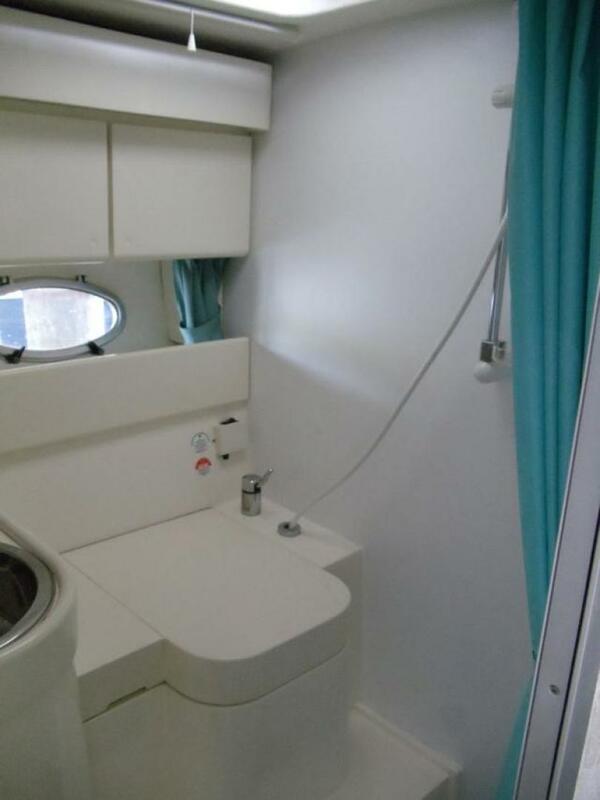 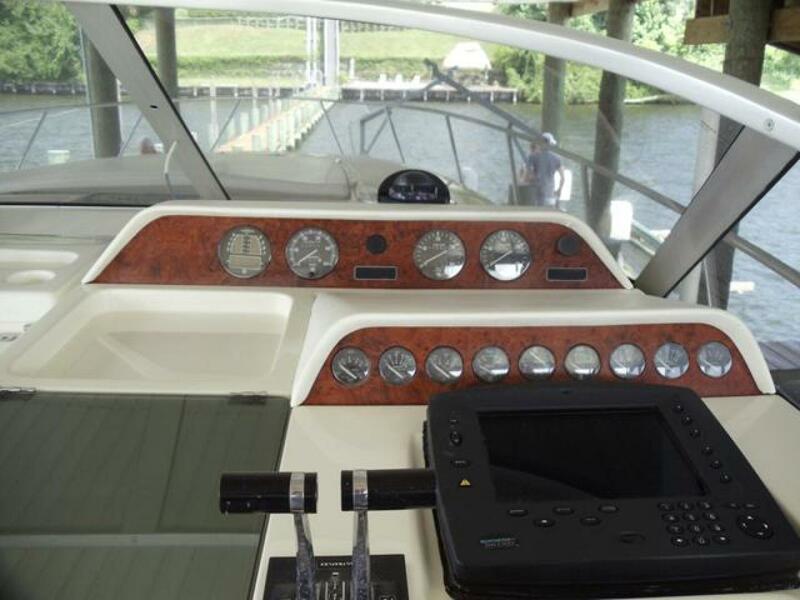 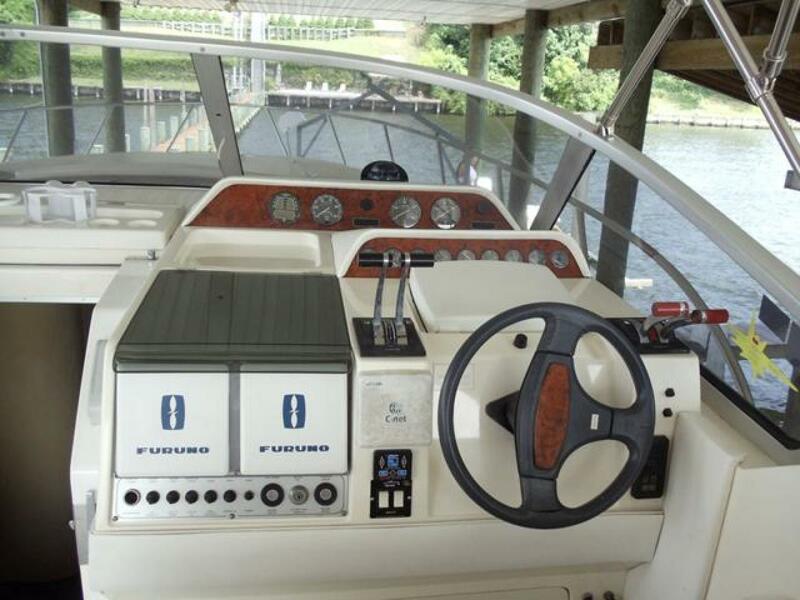 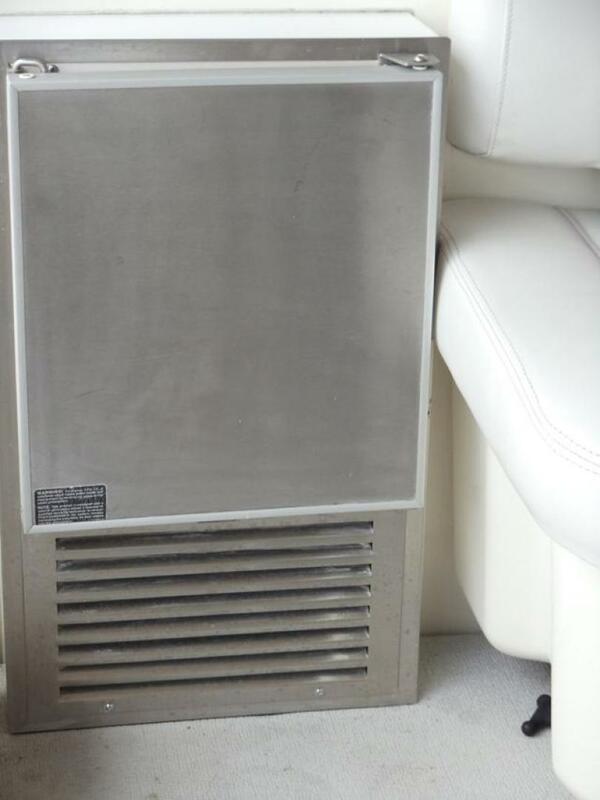 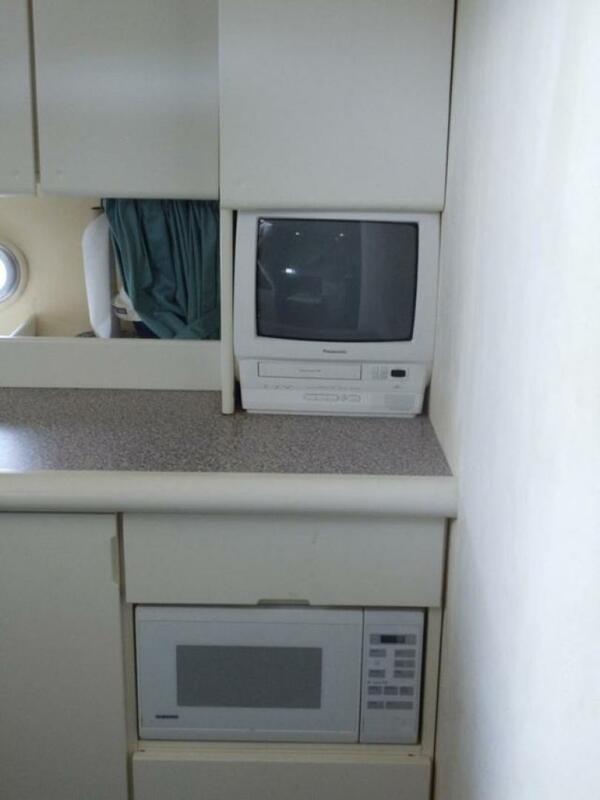 The cockpit has an entertainment center to port fitted with seating, icemaker, hot and cold water and numerous storage compartments. 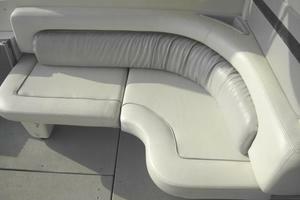 To starboard is a large “U” shaped settee with table that can be lowered to make a sunning lounge. 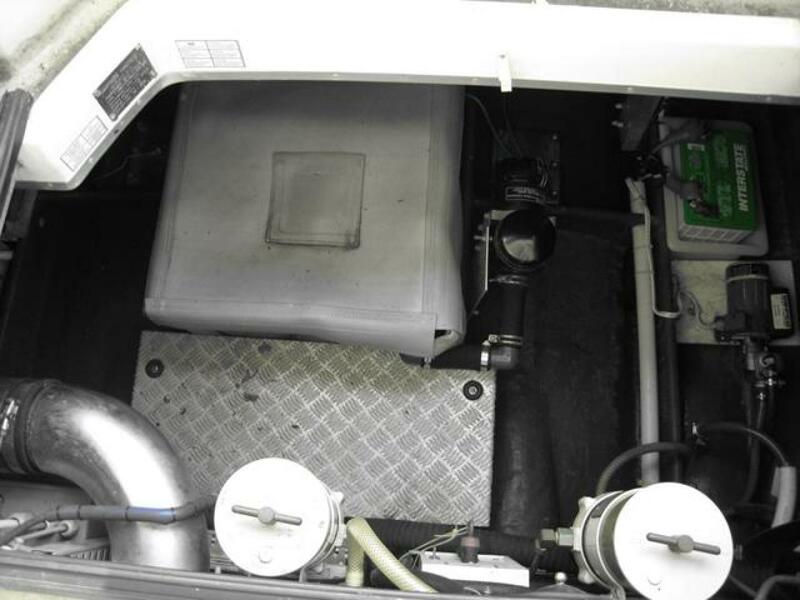 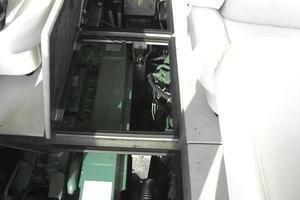 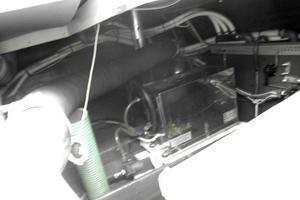 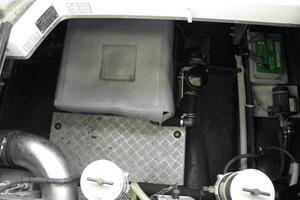 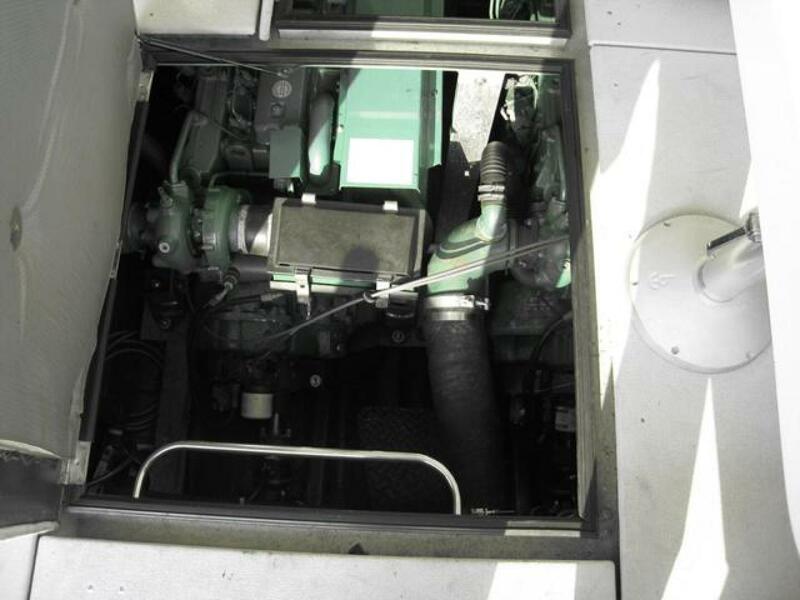 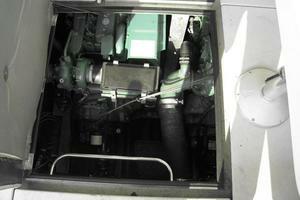 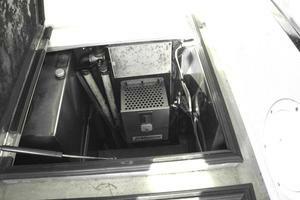 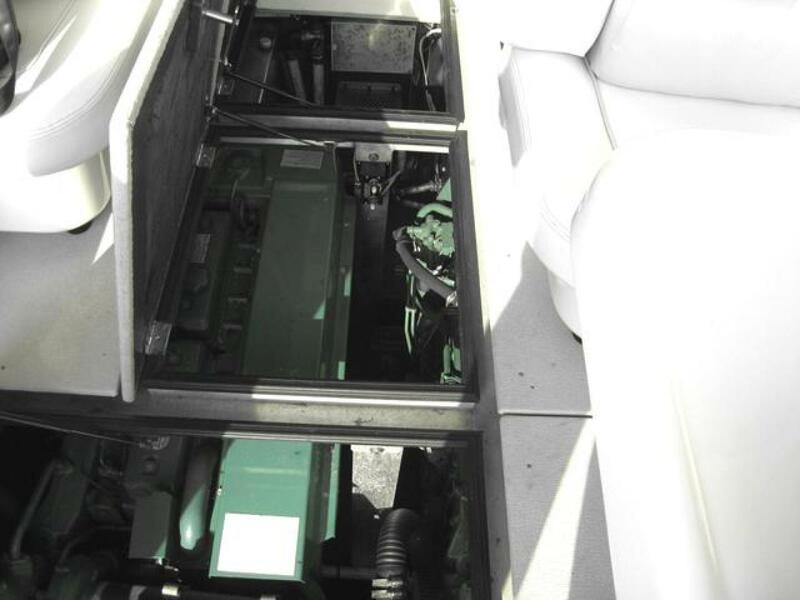 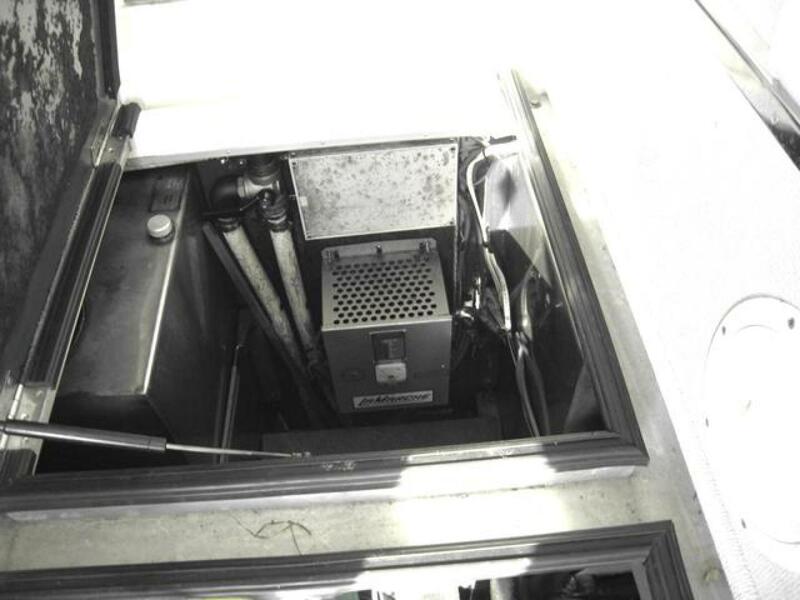 The floor hatch under this area opens to provide easy access to the engine compartment. 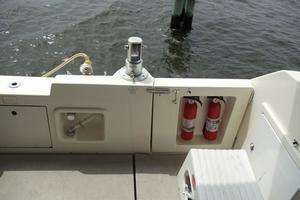 Stowable davits are located in the transom coaming. 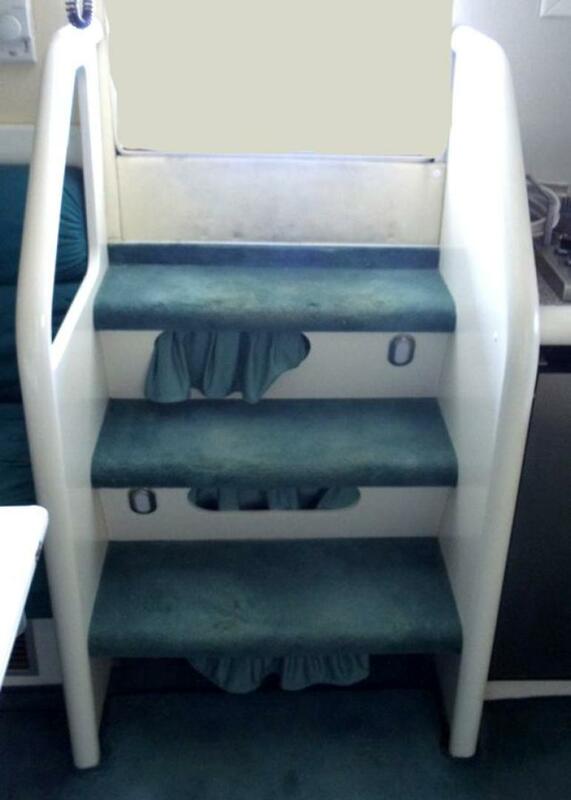 Aft is a molded swim platform.